We all know that yoga and travel go hand in hand. But, time away isn’t the only time you can put yoga to use. In fact, you may have more need for it when you’re struggling with the day to day stresses of life. As much as you can do yoga any place you like, it can help to set aside a particular place in your home. That way, your yoga practice will become more of an event in your day. Plus, you’re more likely to get what you need out of your efforts this way. But, how do you create the perfect space? Choosing the right place is important for getting a space you can work in. If you have a room to dedicate to the cause, fantastic. Even if you don’t, it’s possible to create a space in a corner of your home. Bear in mind that you need a spot with minimal distractions. If you live with other people, choose somewhere you’re unlikely to get disturbed. If you live alone, the quest will be easier. Even so, make sure to pick somewhere without distraction. For example, don’t choose a spot next to a window that looks out on the street. You need to clear your mind, not watch the people on the sidewalk. Once you’ve chosen the right spot, put a little effort into making it the ambient space you need it to be. How you do this will vary depending on your practice. You may want to hang pictures of figures you respect and admire on the walls. Maybe you want to hang pictures of your favorite yogis. Or, you could opt for inspirational quotes instead. Think, too, about whether you would work best with a scent in the space. Bear in mind that strong smells will only work to distract you. Not to mention that they contain damaging chemicals. Instead, find out about the best essential oil brands this year. 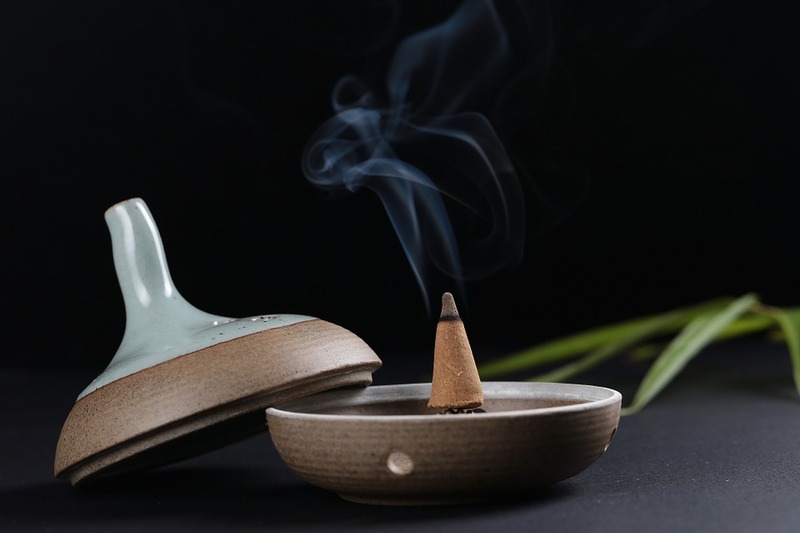 Natural scents like essential oils and incense are a fantastic way to get in the right headspace. And, it’s always a bonus to have a pleasant smell in the background when you get to work! While it’s true that not needing much is a benefit of yoga, you may as well stock up on essentials. When you’re traveling, it’s true that you can get down to it whenever and wherever. But, you may as well treat yourself to the right gear when you have a space to work with! 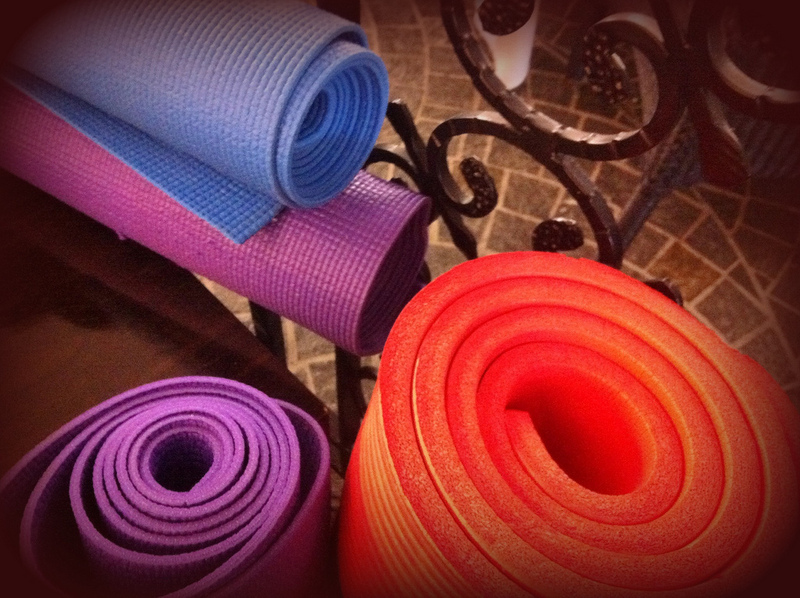 Most important, stock up on a yoga mat that gets you in the right headspace. If a plain mat suits you best, get one of those. 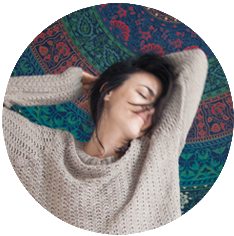 Or, buy a mat with a pattern on it that suits what yoga means to you. The benefit of using a mat is that you can get in the zone the moment you get it out. Then, stock up on any supports and rests you think would be helpful. This entry was posted in Special posts on March 7, 2017 by Amélie.